After a record four- phase voting run-off, the SOC Sistas have selected the ten books we’ll be reading from June 2017 – May 2018. Here they are with some thoughts about why these are such fabulous selections. We couldn’t decide which one of these we wanted to read, so we decided to include both. Most of our members have read one or the other – if not both – so this seemed manageable. I’m super excited about this book – especially after seeing some other book lovers like Laura Tremaine sharing their love for it on social. True Confession: My book club is a sucker for good WWII read. This one is getting a lot of buzz. I recommended this one and heard about it on the What Should I Read Next podcast. I flew through it in about 24 hours. A.mazing. 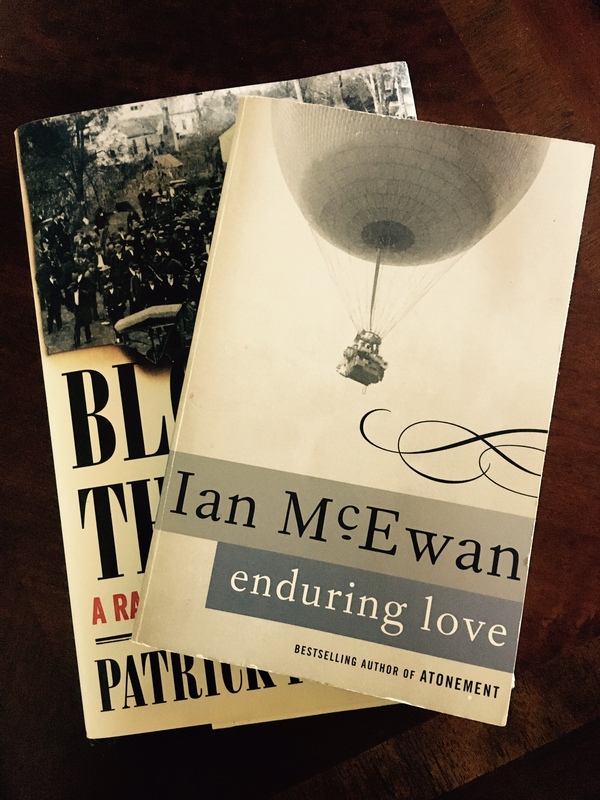 I ♥ Ian McEwan. And, I ♥ the #WSIRN podcast. But my TBR list hates it. You should check it out. We read McCann’s Let the Great World Spin several years back, and he has a wonderful way of telling stories. I’m looking forward to this collection a lot. This will be a re-read for us. One of our goals was to select a book that the club has already read and discussed. But, that was many years and several members ago, and so we wanted to see how our thoughts or discussion might change with a few new members and a few years of – let’s say – maturity. Olive Kitteridge is one of the highest scoring books of our club. I personally wasn’t crazy about Lucy Barton and these stories are based on a character from that book. We’ll see. This is another book that I see social giving a lot of love. It’s the true story of some young women who worked in a radium paint plant and came out glowing. That wasn’t a good thing. I’m curious to know which of these you’ve read or are looking forward to reading. And, what’s your book club reading?